Move a site to Wix? Here’s how to forward old URLs to new ones. I recently wrote about how I moved Comptroller.com to the Wix platform. Unfortunately, I could not set up the URL structure on Wix the same way it was on the old site. That meant that Google had indexed pages that no longer existed and I need to let Google know the new URLs for these pages. Fortunately, Wix has a URL forwarding tool to add 301 redirects. My site was fairly small, so the “manual” tool worked well for adding these redirects. 1. Log in to your Wix dashboard and select the site you’d like to add forwards for. 2. 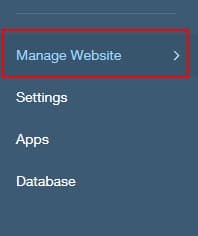 Click on “Manage Website” in the left column. 4. Scroll down to “Manage 301 Redirects”. 5. 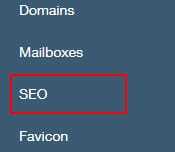 Insert the URL (after the top level domain) of the old page in the box on the left, and select the page it should link to on the new site from the dropdown box on the right.